Because life has just been one thing after another…but I’m doing all right. Month for Loki, Tenth: German lesson. So, in case I hadn’t mentioned, I have been trying to learn German over the last six months. Though as much as I have tried, according to the fluency paradigm of the application I’m using, I’ve only reached about 35% fluency and that supposedly corresponds to a vocabulary of approximately 800 words. In my waking life, I find myself translating simple phrases that I read or hear into German, as the program I use encourages this practice as it promotes intuitive learning. Nonetheless, something odd has begun to occur: These basic German phrases have also begun to seep into my subconscious, as certain words and phrases have crept in during several of my daily meditations and have been popping up in a few of my dreams lately. Now that’s a phrase that I knew, as I’d been studying a unit on imperatives (ie; commands) last week, so I didn’t think much of it, and I mentally pushed it away, and continued to focus on my breathing. However, that phrase continued to surface throughout my meditation, so I treated it as typical distracting mind-chatter, and I tried my best to accept that it was going to keep floating through my head for the duration. But I found it difficult to focus after a while. Was wirst du mir beiden? Wieso rennst du von mir? Why are you running from me? * I feel a bit disappointed in myself, as a vocabulary of 800 words strikes me as being a rather small amount. I would think that I would be more fluent after six months of study. I was talking to Him about conduits, and He was encouraging. Then, suddenly…I heard V talking loudly. So loudly, it woke me up. I rolled over to look at V, and he had his eyes open. He seemed wide awake, and he seemed to be looking right at me. And that made no sense to me. Then, V shut his eyes, and rolled over. And even stranger – about 20 minutes later – V awakened, got out of the bed, and stumbled towards the toilet. Evidently V had no memory of what he’d said. I don’t know why we talk about these things. But I don’t like the part – the insinuation that I’m not sure if it’s an insinuation at all – that I *must* consider these things, even if I don’t talk about it. Years ago, I wrote that people named Heather are always conceited in some way. Heathers have a desire to be important. And I think about what He’d said during a recent meditation, concerning the reasons for performing seidhr. Heather wanted recognition from the community. Meanwhile, I just wanted a community of people to with whom to connect. Do I want something more? Do I want more than to be seen? I feel shame over wanting recognition at all. I just want a quiet community where I don’t have to talk about things with others unless I want to. Does He want this from you too? Month for Loki, Day 17: Distraction. So. I am still sick with the flu that I’d caught from V the week before last. And I was talking to a friend – who is spirit-touched and a Reiki practitioner – about my symptoms the other day. You see, I have been suffering a great deal of sinus congestion, a headache, and most concerning of all, I have had a near-constant nosebleed for the past week. My friend was pointing out that the combination of sinus congestion followed by nosebleeds could indicate the opening of my third eye. And I was surprised to hear that, as I have always felt that I am almost completely headblind, but since my return from Arizona (following the ritual that occurred there), I have felt more ‘open,’ and as a result, I have had several rather vivid experiences. Though I hadn’t thought to connect the increase in my experiences with the frequency of my nosebleeds. I have been stressing about what I should be writing again. I woke up about 30 minutes ago. I had just awakened from a vivid dream concerning a small body of water, because I could recall seeing Him standing in the water, naked to the waist, waiting for me to join Him. And how, upon wading in, I received a clear visual of a short poem. It looked like an Internet meme tile. It was a poem about an experience – a magical experience – written by someone named Walter. I think that I had been reading this paper. But something had distracted me. I recall that I had been reading this poem to myself, as if I had been trying to memorize it, as I may have been intending to make a post of it today. But then, I’d begun to wake up. I am trying to think of what this poem had made me think and feel – as I’d felt that I’d almost had it memorized – but then I’d let the TV distract me. I recall that the poem had a lilting sort of subtle rhythm as I whispered the words to myself – possibly an ABBA or even an ABCD-ABCD rhyme scheme. I was amazed that I’d been able to see the words so clearly as I’d spoken them aloud, and I remember thinking that I wasn’t that deeply asleep and yet, so deep and so clear were the words that I was speaking. I repeated them to myself several times – but somehow – how? why? – had I allowed the TV to intrude, rather than to ignore it and focus on what I had been saying? Maybe this is not about my memory of the poem at all. The words, the experiences would all be clear to me if I allowed them to be. And yet I jump away from away from these experiences and cast about for a distraction to take my focus away from them, from the possibility of recalling them. We are standing at the Well of Memory and I am fussing over poetry? Relax. Let yourself be like water. The words were flowing over you, were they not? You asked for a session. This was your session. These things can and do co-exist. These ‘realities’ are nothing more than undercurrents of each other and you can tap into these multiple streams at any time that you wish. Yes…and no. It is that simple, but, as you might guess, it is not EASY. Do you see the way you struggle with relaxing, with remembering? Let go of your need to describe every detail and just allow the flow. That is the lesson. Stop putting these rules and all these parameters on it. Stop trying to document the experience as you are experiencing it and just let yourself see, let yourself feel, and you will remember it. Stop thinking of these experiences as something unusual that is only given to you in pieces with all those attendant fears that suddenly you will forget. Let yourself remember. Let yourself relax. The fear drives it away from you, pushes it away from your understanding. You will forget if you are always afraid to forget. When I realized that I’d fully awakened, I blew my nose. There was blood coming out of my left nostril again. Perhaps this is what was meant when another Lokean friend and I were discussing this project at the beginning of the month. Be fluid. Be more fluid. Month for Loki, Day 5: Message. I cannot make you understand. But I will keep trying. This is the connection between love and self-love. Perhaps you will learn to love yourself in ways that you had not – but I hope that you find your way to me. There is no need to fear being vulnerable with me. I approach you without armor. I have chosen you. You have always been my choice, and you shall always be. That’s the kind of loyal I am. I ❤ this graphic. Artificial order imposed upon systems *is* chaos because they’re useless to anybody BUT those utilizing the artificial order system. To the greater system itself? It’s meaningless. Piles? Columns? Sorting by type? That’s all concessions to the limitations of our cognitive systems. Sure, our cognitive systems are natural too – even the artificial/natural distinction isn’t “quite” right. But in the greater scheme, the one where humans are optional, those piles and sorting is chaotic and meaningless. I’d never thought of order or disorder as being defined this way, and yet, I have been thinking of the relation between the concepts of ‘order’ and ‘disorder’ a lot lately. It began, as most things do, with a simple conversation in a Rokkatru group concerning someone’s UPG of the Aesir representing ‘order’ and ‘civilization’ in the cosmos while the Rokkr represent ‘nature’ and a ‘natural sort of disorder.’ Of course, there was discussion of how nature has its own sense of ‘order’ – but how, from the point of view of ‘civilization,’ nature’s sense of order is random and therefore, considered by civilization to be ‘disorder.’ As well, others discussed the concepts of open and closed systems and how a closed system eventually falls apart because it can’t self-sustain and whatnot, and things quickly became rather meta. And being a Rokkatru group, of course, this discussion wound its way towards discussion of Ragnarok, and the role of Loki, Fenrir, and Surtr in bringing on the end of the world. The world is a closed system and the role of the Rokkatru is to bring about the destruction of this closed system in order to make way for a new (and perhaps more open) system. 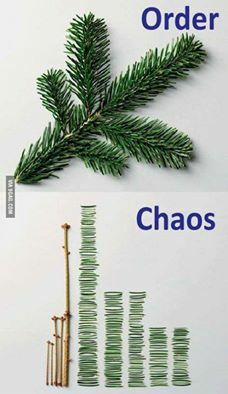 And so, it’s odd but not surprising to me that that conversation gave me a headache…because chaos theory usually does. But then, there I was again tonight, having a conversation about order and disorder again, but this time, it was on a smaller scale. I was talking to my friend about how Loki has laughed at me concerning my OCD need to arrange the items in a specific configuration on His altar, or my habit of overthinking that is a hallmark of my social anxiety, or my inability to let things go and/or trust the process. I have no problem admitting that I am sort of control freak regarding several aspects of my life and practice. And my friend agreed that she has some of those issues too. Well, that reminded me of my own artistic coping strategies. And yeah, that realization, of how I tried to make sense of confusing experiences by filling up notebooks, and drawing my imaginary friends, and how much it shocks me to think that it wasn’t just me being escapist. That art was …that art is a rather dysfunctional coping mechanism for me. I don’t make money with it. It doesn’t make me happy. Things still pile up in my head, and writing them, drawing them doesn’t serve to make me any more sane or stable. And it sure as hell doesn’t help me or my loved ones to understand me any better than before. Perhaps my incessant writing and drawing are what I do to keep myself from meaningfully engaging with others. 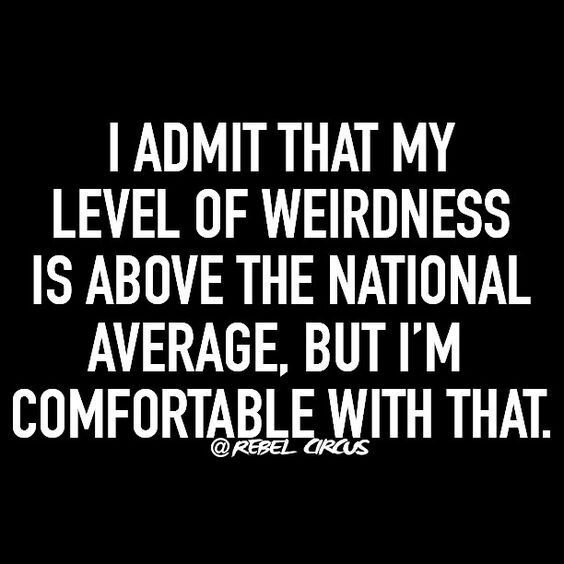 I would like to admit that I have been rather antisocial lately. One might even go as far as to say that I am on the edge of being too irritable for human interaction specifically. That would go a long way in explaining why I’ve found myself in these conversations with others that occur despite the fact that I have been desperately trying to avoid conversation, much less interaction lately. Hel, it is more than likely that I have been avoiding interactions with others so that I may avoid the possibility of conflict and/or tension. He will often say things just to bait me into verbal sparring. But this time He did it slyly with a compliment. Him: Wow. That’s…interesting and a bit extreme. Do you care to explain your position? Him: Well, Heathir, if I were to judge you like that, then I would just have to…. love you for everything you do.